Engine: Gardner 6LXB 10.45 litre. 7980 was new to East Kent in 1978 as part of several batches of Bristol VRT's with the boxy Willowbrook bodywork. East Kent took 28 in total with 29 going to Northern General and 26 going to City of Cardiff. Of all of the Willowbrook bodied Bristol VRT's built, 7980 is THE ONLY ROOFED ONE LEFT IN THE WORLD AND ONE OF ONLY TWO LEFT IN THE UK! 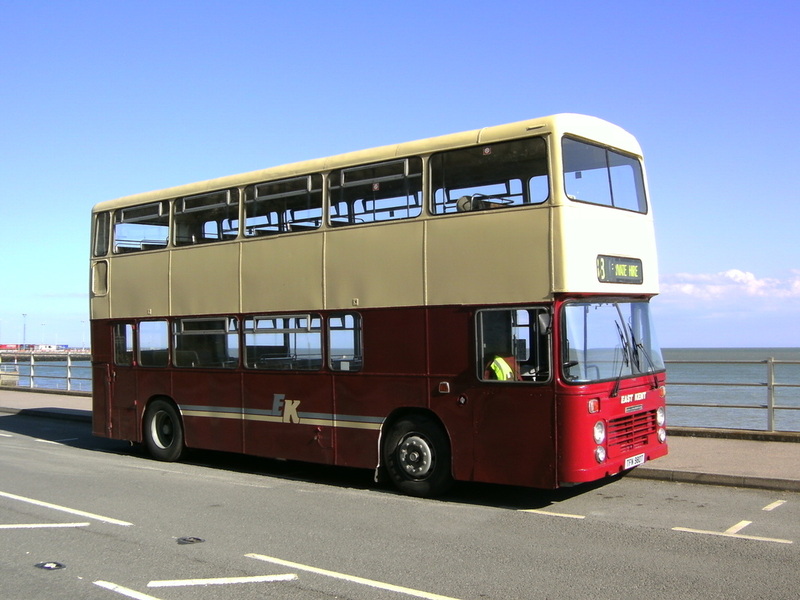 The Willowbrooks were mostly withdrawn from East Kent service in the early 1990's with some transferred down to Hastings for a while. Mst of the East Kent ones ended up at London Coaches on the Round London Sightseeing Tour where many were open topped. Prior to this, the only open top Willowbrook/Bristol VR had been East Kent RVB977S "The Pride of Thanet" which had collided with a low bridge when still quite new. 7980 avoided this fate, and passed to Riply (dealer) then Beeston (dealer) before taking up service with Altonian of Alton in May 1992. She stayed here until August 1996 before passing via another dealer to Classic Coaches of Booker in 1998. Later passing to yet another dealer, she was acquired by Maurice Bean in 2003. Bernard bought her fully restored in 2008. 7980 is certainly Bernard's pet bus, but is currently stored undercover pending an overhaul. Here her seat frames will be painted, the floors repainted as will her external bodywork and she will be given a service. This is the plan, however, as problems crop up with the other buses 7980 sometimes gets pushed to the bottom of the list. We hope to have her back in the public eye soon as she proves to be a favourite at most of the shows we attend.